As an independent contractor in California, there are times when the folks working for you fall into gray areas where you may or may not need workers compensation insurance coverage. Do you fully understand the laws and obligations? We do, and it’s still hard to explain or just depends upon your individual situation. Don’t presume or take the word of someone who “may” know. Protect yourself, your interests and your workers and call the experts at California Contractors Insurance. We’ll give it to you straight and tell you exactly the type of workers compensation insurance you need. The worker’s compensation insurance experts at California Contractors Insurance have years of experience in the field of contractors insurance. Each of our highly skilled and certified agents is adept at designing workers compensation insurance policies that will meet the California legal requirements and the comprehensive coverage you and your workers need. Do you know what your obligations are when it comes to workers compensation insurance? Don’t guess and hope, find out and get covered. Trust us, you’ll sleep better knowing you have the coverage you need and require. As an independent contractor, you have enough to worry about, let us help provide you with the peace of mind you need. Workers compensation insurance and health insurance are not the same things. Know the difference? We do, so call California Contractors Insurance at (888) 728-4034 and we’ll provide you with the right coverage your business needs. Request a free, no-obligation quote today and protect your business and your workers today. You’ll be glad you did. Many mid-sized businesses in California will generally have at least a worker or 2. Thus, as a company owner, having some knowledge on how workers’ compensation insurance works will go a long way in saving you a grand headache and financial damages in case something takes place to any of your employees. Workers’ compensation insurance coverage in California is an insurance policy that provides wage replacement and medical costs to your employees in case they are injured. This policy is in exchange for necessary relinquishment of their right to take legal action against the company for compensation. This policy serves to protect the company from punitive suits by their workers. Sometimes, the claims can cause monetary damages leading to the business to become insolvent when the damages awarded are too expensive for the company to pay for. Therefore, this system of collective liability was adopted to resolve the problem. The compensation strategies in California vary amongst jurisdictions. However, in general terms, a form of disability insurance in the form of replacement of wages can be adopted. There will also be compensation for the financial loss for the hurt employee, payment or repayment of medical expenditures in addition to benefits awarded to the workers’ dependents in case of death. As an entrepreneur, you should comprehend why such an insurance policy comes in handy. Apart from saving you from suits that can damage your reputation, it also prevents you from shutting down due to high damages awarded to the hurt worker. The workers’ compensation insurance coverage are regulated by the individual states and territories the business is located. Therefore, there isn’t a single rule that is followed when granting damages. Hence, when your company expands to other states, it would be prudent to find out from your lawyer how the law works in that area, and therefore you can change the policy appropriately. 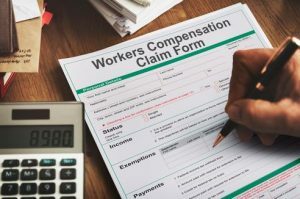 Usually, damages sought for pain and suffering due to the negligence of the employer as well as punitive damages for the employer are not covered by the workers’ compensation plan. Therefore, it would be prudent for the employer to make sure that none of their policies or operations directly put the staff members at risk of injury even if such an insurance plan is in place. Not all companies have to have workers’ compensation insurance in place. For instance, small businesses (specifically sole proprietorships and partnerships) won’t need the insurance coverage unless they have employees who aren’t also owners. Often, the state laws will allow the owners to get the compensation plan for themselves (as their own employees) if they want. Some states also don’t require the business to have compensation insurance plan in place if the staff members are exclusively paid on commission. Depending upon the state, the law may treat uninsured specialists as employees in case they are hurt while working for you. As a rule, if you have workers who aren’t owners, then it is a requirement to have such compensation insurance plans in place. 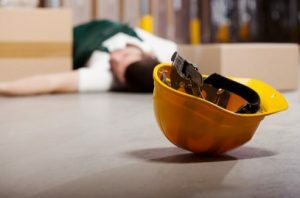 Many employers take measures to make sure that their workplace is safe, but accidents do take place, and incomes are lost as a result. Hence, getting workers’ compensation insurance will safeguard both you and your workers in case of an accident.